job resource for truck drivers | Platinum Drivers Inc.
One of the great pleasures of summer weather is being able to drive with your windows down. That’s true whether you’re driving a big rig or a little car. Either way, there’s a sense of fun and freedom when the windows are down, isn’t there? 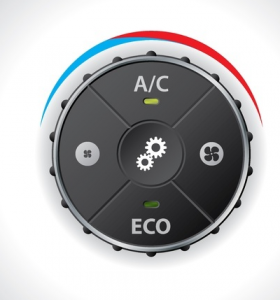 There has been a debate– for a long time– whether or not rolling down the windows is more fuel efficient than using the air conditioner while driving in the summertime. The popular TV show MythBusters wanted to test this out, so they did. MythBusters’ Jamie Hyneman and Adam Savage put two identical SUVs to the test at Altamont Raceway in Northern California. Both vehicles were loaded with equal amounts of gas. They both cruised the track at a steady 45 miles per hour. One had the windows rolled up with the AC blasting while the other had the windows rolled down with no AC in use. Do you wonder which one ran out of gas first? Jamie’s SUV with the windows closed and the air conditioner on and running was the first vehicle to run out of gas. Adam’s vehicle, with the windows rolled down, managed to go 15 miles more. Now this test wasn’t “perfect,” but it does illustrate that having your windows down can be more fuel efficient than using the AC. As for truckers who end up in all sorts of weather and all sorts of environments during the summer, conventional thinking would say turn the AC on when it’s really hot, sweaty, sticky and muggy outside. Humidity can be really overwhelming in some places like Orlando or New Orleans. Therefore, keeping the cab cool with dry air via the AC vents is the way to go. When the humidity is low and the temperature isn’t too hot– say, below 80 degrees– you might as well skip the AC and roll down the window. Let the air flow. If you’ve got long hair, let the wind catch it and blow it around for that feeling of freedom we all want. If you have your driver’s side window down and you’ve got your left arm hanging outside of the truck, you might want to put some sunblock or sunscreen on it. That way, you won’t look funny later on when one arm’s burnt to a crisp and the other’s still white like snow!